Yesterday I participate in a fun event called “Fill the Streets With Art”. 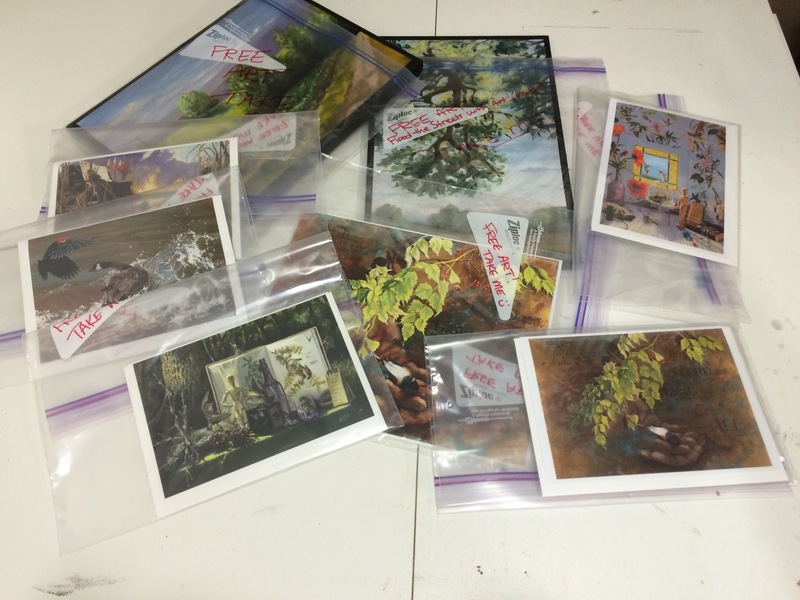 I packaged up a couple small original pieces of art and a few cards, with the words “FREE ART, Take Me” written on the packaging, then dropped them in different locations in my town along Main St. Giving art away was a delight. The anticipation of knowing someone would come along and find something of value for FREE made the gift giving all the more enjoyable. Giving and doing and working and pleasing are all good and necessary until it comes to our salvation–there is NOTHING we can do to receive salvation accept RECEIVE it. It’s a gift–FREE! Some people who find the art will be excited. The odds are, there will be an equal amount of people who don’t really care, in fact, they may consider it of less value because it’s free. I can tell you from experience, I’ve scoffed at the FREEness of salvation. The door of salvation is wide open but we must leave our “goodness” outside the door. I really like the last paragraph in today’s devotional. It’s a joy to give out gifts and its a joy when people accept them freely. 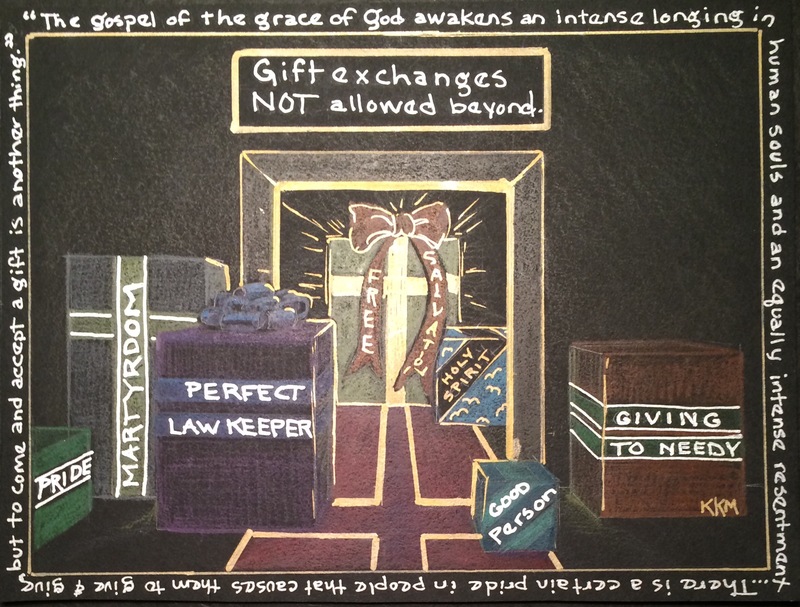 Trying to DO something to deserve the gift of salvation robs Jesus of His joy of giving and cheapens the gift He gave. Humble yourself and accept it and be renewed from within. God bless you today!